Quick and easy visit with Dr. Silani. Dr. Silani was super nice & really cares about the health of your vision. I learned a lot about my vision, and I didn't feel pressured to buy anything extra. I would definitely recommend him to anyone! I have been wearing glasses and contact lenses for over a couple of decades and Doctor Silani is the best optometrist I have met. Attentive, knowledgable and not worrying about spending too much time with the patients. I highly recommend Dr. Silani! Super friendly, easy going office all around. Dr Silani was incredibly outgoing and pleasant to work with. Showed a genuine interest in my wife's and I's questions and concerns. 10/10 will go back again. 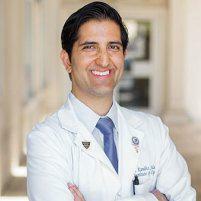 Dr. Kambiz Silani, OD was a true professional and pleasure to visit. In fact, my whole family will now be his clients because of his thoroughness and care to make certain that gets your prescription absolutely perfect, using four hi-tech testing stations. Thank you again! Our experience was wonderful! The staff was courteous and kind, and Dr. Silani was very patient with my 5 year old daughter! We left happy and with a brand new pair of cute glasses on order! Dr. Silani lived up to his excellent reviews! He has the latest high-tech equipment which made the routine tests smooth and quick. HIs scheduling staff is very efficient and professional. Dr. Silani appears to be a very warm-hearted and thorough. I highly recommend him to new patients for a comprehensive eye exam with treatment recommendations and referrals as needed. Since I am have cataracts that need to be removed, Dr. Silani was able to identify them, explain how they affect my vision, and offer several eye surgeons for me to consult. I was totally satisfied with the entire experience! It was one of the most enjoyable and educational examinations I've had. Dr. Silani not only performs the examination but takes the time to educate you on the eyes and the amazing technologically advanced machines he's using. I visited Dr. Silani for an eye infection. Dr. Silani was very thorough and clear on his instructions regarding how to treat the infection. The process was hastle-free and pleasant. Dr. Silani and his staff were excellent. I needed glasses, and I just happened to find Dr. Silani on the ZocDoc website--I'm SO glad I did! Great comprehensive exam, a thorough explanation of their findings, and I picked out my glasses in the same visit. HIGHLY recommend!! I had a fabulous experience. Would highly recommend. Very good experience. Dr and staff are very nice. Will recommend to friends. Five stars. I had a great experience with Dr. Silani. He is a very nice doctor - thorough, calm and professional. He showed me everything that was going on with my eye and explained it in a way that I could understand. He is my new eye doctor and I cannot recommend him highly enough. Everyone was very friendly and informative! Dr. Sola I took all the time necessary to make my first visit as educational and comfortable as possible. I felt like I had a say-so in the health of my vision, and the choosing of lenses that would best work for me. Glad I made the switch. Amazing optometrist! Very patient and thoughtful. Great experience! Extremely patient doctor, explains what is happening every step of the way. 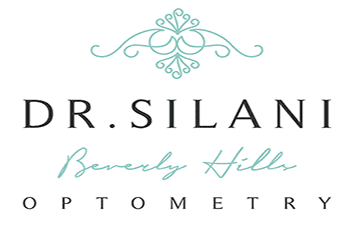 Go see Dr. Silani for all your ocular needs! Dr. Silani is knowledgeable, friendly and thorough. He made sure that all my questions were answered, presented various options for my vision issues, and made sure I was happy with my final prescription. I will definitely return to see him in the future!